Earlier this year we argued that Capital One Venture was a highly underrated card, because it’s one of the best earners with points that are extremely easy to use. The card earns two miles per dollar spent, and that essentially gives travelers a 2% rebate on all purchases, and they can use their points for any travel purchase at a fixed rate. 50,000 points = $500 bucks to spend on travel. Simple enough. But for people who enjoy unlocking premium airline cabins, or playing the points game with mastery to use fewer points to go further, the lack of opportunity to transfer said points to airline partners was a bit of a bummer. Capital One has just announced a great variety of airline transfer partners, making your points whatever you want them to be. According to information directly from Capital One, starting in December, cardmembers will be able to transfer their Venture miles to 12 travel loyalty programs, including Aeromexico, Aeroplan, Alitalia, Avianca, AsiaMiles, Etihad Airways, EVA Air, Finnair, Flying Blue, Hainan, Qantas and Qatar Airways. Cheers to that. Programs such as Aeroplan, Avianca, AsiaMiles, Etihad, FlyingBlue and Qantas rank amongst the very best programs in each of the three major airline alliances and thus create vast travel opportunities on an entire tree of additional airline partners. To the best of our knowledge, every dollar spent will earn 1.5 Venture Rewards Miles going forward. Etihad – allows you to use points for business class on American Airlines at rates better than American Airlines charges. Imagine that! 50,000 Venture Points transferred to Etihad can be enough for one way in business class from the US to Europe or North Asia. 62,500 Points gets you to Australia or New Zealand. Crikey! AsiaMiles – AsiaMiles is the loyalty program of Cathay Pacific and offers some real gems for aspirational travel. If you fly on two or more partner airlines – like American, Japan Airlines and Cathay, you get to take advantage of special points rates. 165,000 points is a lot, but it’s enough to get you around the world in business class, with multiple stops. FlyingBlue – Air France and KLM share the FlyingBlue program. Since these two airlines are both members of the SkyTeam alliance, you can book Delta and other SkyTeam airlines using these points. FlyingBlue offers monthly promo awards, where seats across the pond can dip below 10,000 points one way, or 20,000 round trip and business class can go for just 26,000 points one way. That’s amazing value for your Capital One Venture Miles. Avianca – This loyalty program has got some great features, especially for those seeking opulent first class experiences with their points. 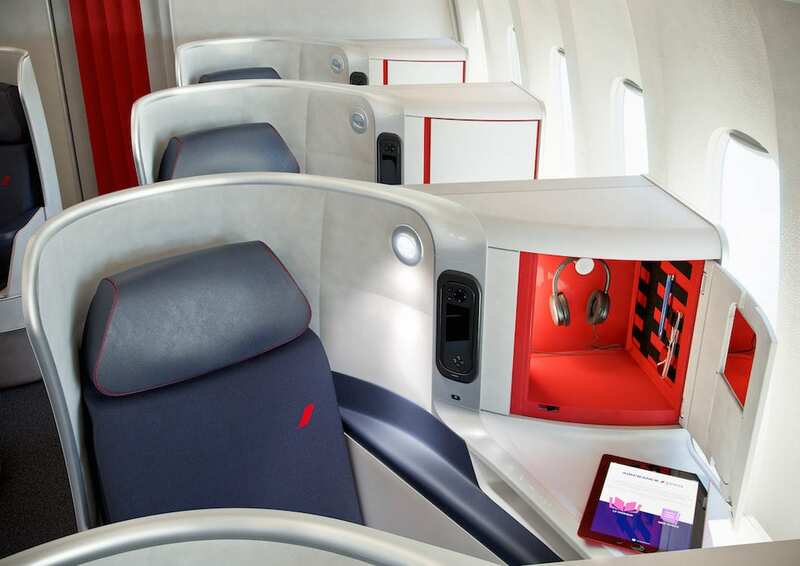 You can unlock Lufthansa, Asiana, Thai and many more incredible First Class experiences using Avianca “LifeMiles”. By transferring your Venture Rewards Miles to Avianca you can fly in a private suite with a door to Asia for as few as 72,000 points one way. Suite dreams. Learn more about the Capital One Venture Card here. Featured image courtesy of EVA Air. I almost had to check the calendar and make sure it wasn’t April 1st! Quite a nice surprise, for a change!! Hahah! Love it. It’s great news indeed. Fantastic sign up bonus too. I thought Cap1 earned 2x per dollar spend?????? ?